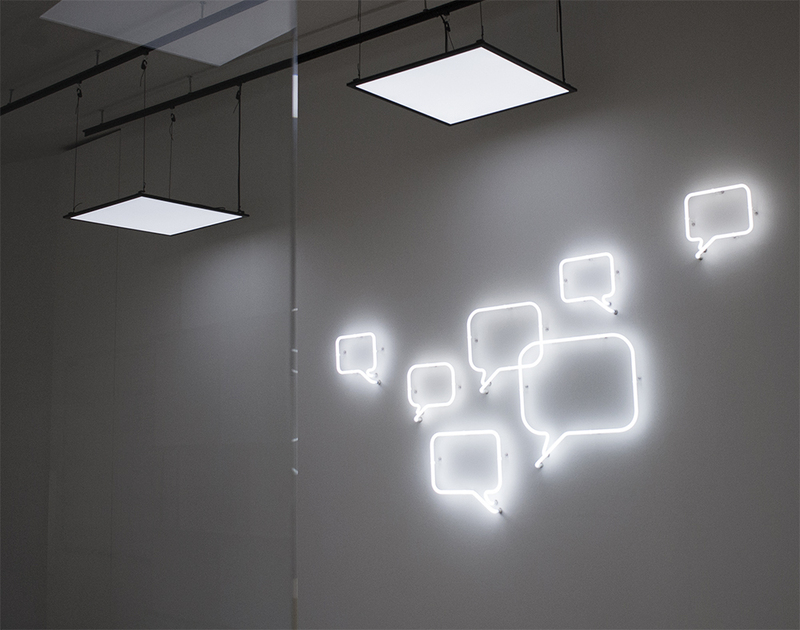 Berlin based software developers LambdaWerk asked for an individual lighting concept and for ideas to give their new working space a touch of uniqueness. 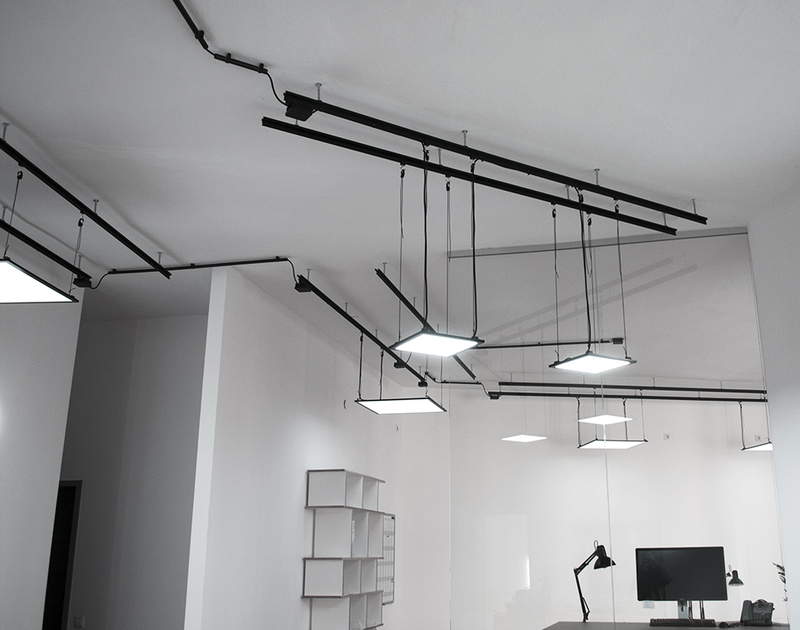 All lamps were custom build to suit the needs of the team, including dimming, switching on and off of individual lamps and adjusting the positioning. 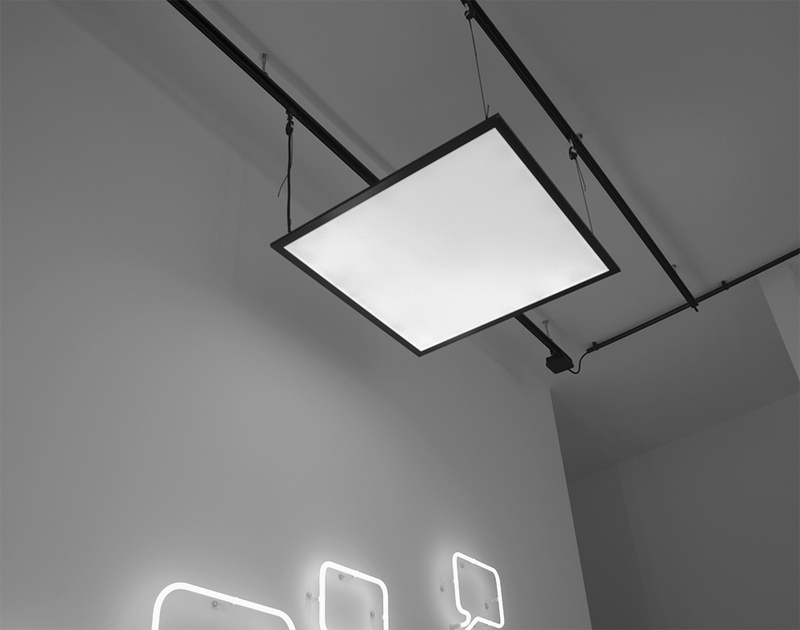 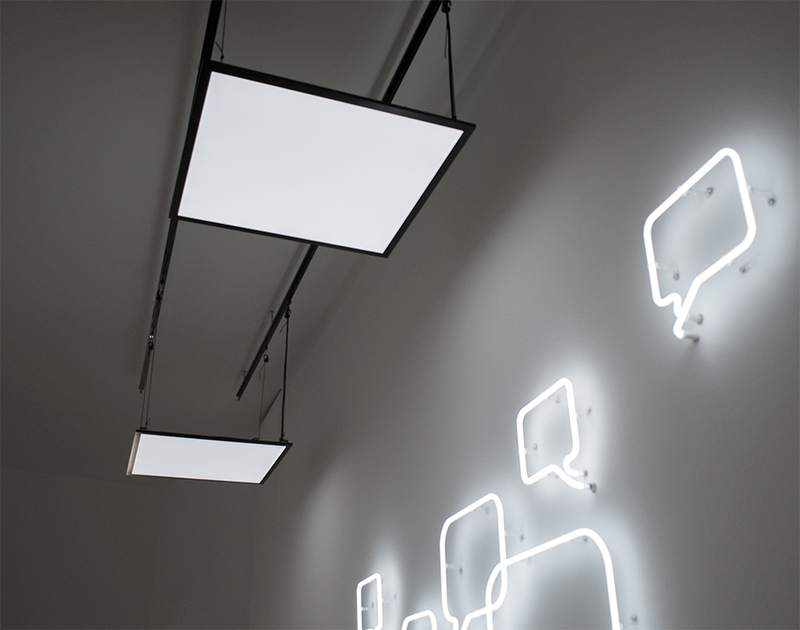 The LED-screens provide a soft and intriguing sort of light. 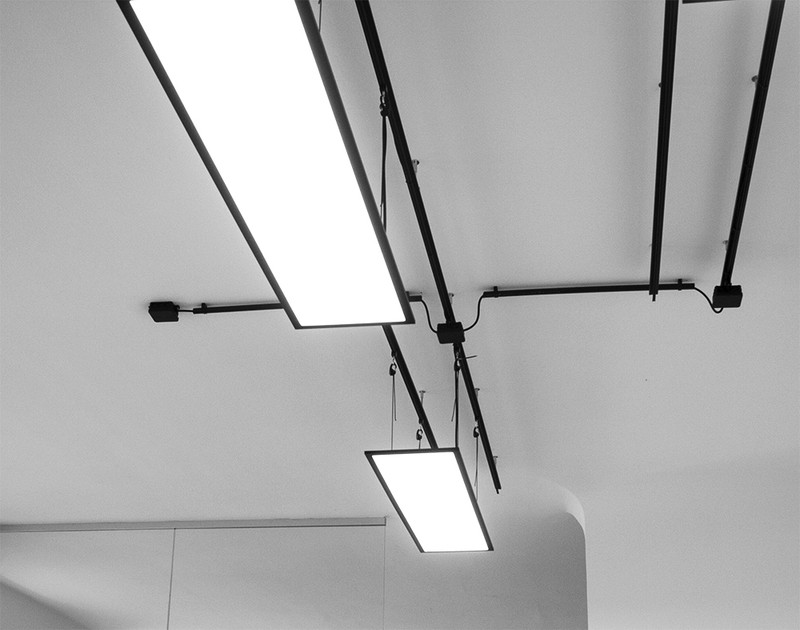 The lighting concept combines the matter-of-factness and pristine aesthetics of industrial production sites with minimalist precision of the light-weight trails and hanging on strings. 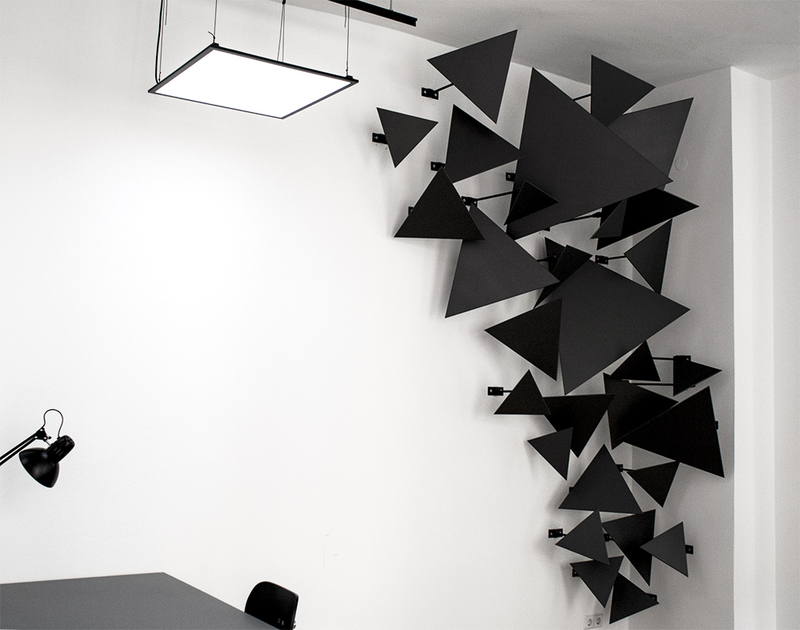 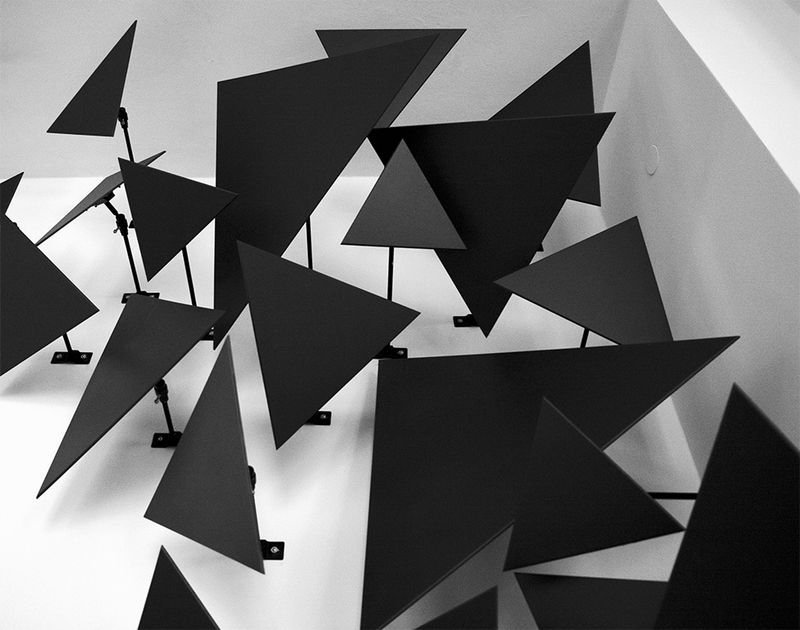 To go along with the lighting objects two wall installations explore the opposite ends of the chosen aesthetics: A sculptural approach to light and the purely graphic aspect of geometric shapes.